THE Department of Agriculture (DA) has expressed confidence that the coffee industry in northern Mindanao would continue to increase its coffee bean production towards 2022. “We are really optimistic working together with partners and stakeholders. We hope we can achieve our goals in the next three years by increasing our yield per hectare from 300 to 400 kilograms,” said Carlota Madriaga, DA regional technical director for Region 10. 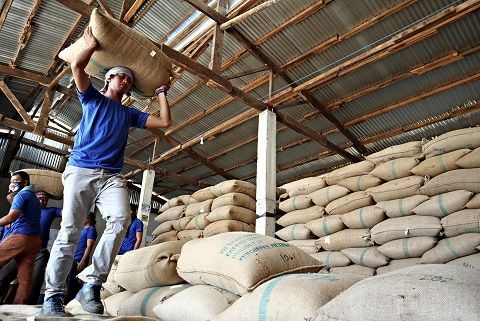 The official said it’s still a long way to go but eventually, dependence on importation would be lowered if the region’s coffee farmers could get the proper aid so they could sell their products. Based on the Philippine Statistics Authority’s 2015 data, the country has five major production areas for coffee. The biggest is in the Socsksargen region followed by the Davao region, Calabarzon, the Bangsamoro region, and northern Mindanao which accounts for 10 percent. “Hopefully with more effort we can change this, and push northern Mindanao further,” she said. Nestlé Philippines, the biggest buyer of locally produced Robusta coffee beans in Mindanao, expressed confidence that the industry would grow bigger. “The production of coffee in northern Mindanao especially in Bukidnon in the past few months has been very consistent. It has been significantly increased. So far, we have been able to buy around 500 to 1,000 tons of coffee, compared to the last three to five years of just around 200 tons,” said Arthur Baria, assistant vice president and head of the agribusiness development department of Nestlé Philippines.